Played cricket at school and club level before embarking on an umpiring career that spanned 24 years. Umpired 115 First Class matches and 4 One Day Internationals as well as a host of List A and T20 matches. Was actively involved in the restructuring of professional umpiring in Cricket South Africa over a 4 year period before accepting the Umpire Coach position at the ICC in November 2017. Responsibilities include Elite and International Panel Umpires in South Africa and Zimbabwe, as well as Development Umpires in Africa. Played club cricket at Worsley CC and then umpired for 25 years at club level. 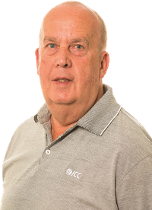 Became involved in umpire education in the UK in 1997, also delivered programs throughout Europe on behalf of ICC Europe. 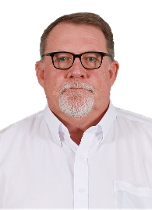 Joined Cricket Australia, 2008 – 2013, as an umpire educator and member of the Umpire High Performance Panel, also as the umpire educator of the International Program, CA Game Development, delivered programs throughout Asia on behalf of CA and the Asian Cricket Council. Seconded to the ICC in 2012 to develop the International Umpire Accreditation Program. Appointed as umpire coach to the ICC in 2013 with responsibilities for Elite and International umpires in England and India. An academic by profession with a Bachelor’s degree in Psychology, and a Master’s degree in Physics. Undergraduate and Postgraduate Course leader, Liverpool John Moores University, Manchester Metropolitan University, University of Cumbria. Played first class cricket for well over 10 years for the Burgher Recreation Club and, on retirement, joined the Umpiring fraternity in 1983. Umpired my first Test Match in 1993 and ended up doing 11 Test and 46 One Day Internationals. Qualified as an Umpire Educator in 1994. Was actively involved with the Asian Cricket Council in developing the role of umpiring in South East Asia and the Middle East since 2002. 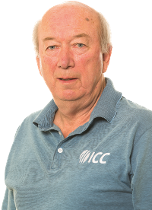 Retired from active umpiring in 2006 and joined the ICC as an International Umpire Coach in June 2008 and have been in the role since. Looking after Umpire development in Pakistan, Bangladesh and Sri Lanka. A Banker by profession serving in The HSBC Bank, Sri Lanka for 25 years. Played local cricket. Background is in Australian Football – umpired at national level (AFL) and following retirement and a stint in rural education became AFL National Umpire Coach. Following this role, undertook work in community development and education and training. This included work for a range of sports in officiating, including the Australia Sports Commission. Became involved with Cricket Australia (CA) as member of the National Umpire High Performance Panel for 6 years. 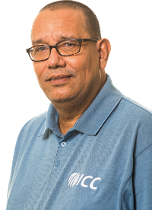 Appointed as an Umpire Coach to the ICC in 2013 with responsibilities for Elite and International umpires in Australia, New Zealand and West Indies.